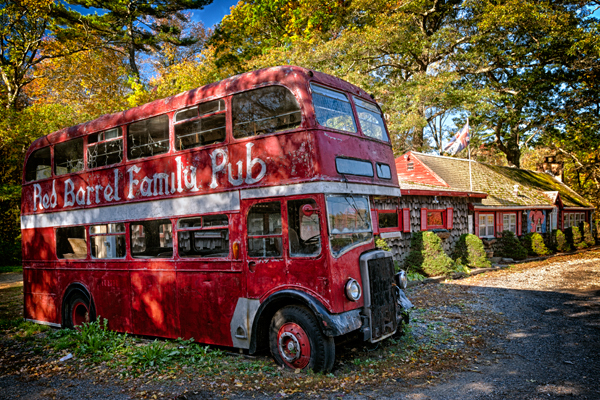 You never know what you might come across when traveling, and this double-decker from England caught my eye as it was parked along the road in Massachusetts. Looking at this unique vehicle left many questions,as the drivers area looked tiny and impossible to get into and it appeared as if passengers would load from the back,but that might be way off. It doesn’t appear to be moving anytime soon.